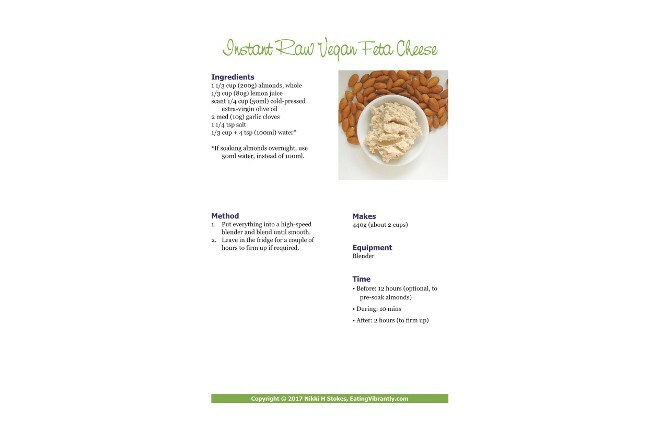 A beautiful printable version of my instant raw vegan feta cheese recipe, ready for you to print out and add to your recipe collection. It also includes a handy Recipe Prep Checklist, to make sure you have everything you need to get cooking. And for good measure I've included all of the super-handy tips and suggestions for variations, so you can make the most of this delicious recipe. Designed for A4 sized paper (Australia, United Kingdom, New Zealand).